We provide overseas & local pre-wedding, wedding day, maternity and lifestyle portrait photography in a way that leads to an intimate and artful expression, resulting in images that reflect your truest personality. We capture the most spontaneous moments of the day that will be cherished in your family for years to come! OR just leave your message below for a custom quote. We would love to meet and hear from you about your plan and to discuss your individual requirements. Hope to hearing from you soon! Hello, we come across your pictures and find them fascinating. We are now looking for pre-wedding (early 2020) and big day (December 2020) photographers and videographers. We would like to know more about your service, in particular, (1) the usual offers of your team, (2) whether wedding gown (for pre-wedding photos) would be on loan, and (3) the best timing for us to book your team. I am looking for local pre-wedding and wedding day packages with prices. Please send me a list of them. Appreciate it. Please give me more details and rate card, I am looking forward for your reply. Hi, We are looking for a wedding day shoot for the evening of 24.11.2018. are you available and kindly let us know your rates please. Hi. We are looking for photo and video services for our big day on 16/11/2019. We like your style as shown on your webpage. Is your team available on that day? Would you please give us more detail on your service provided and the rate card? I look forward to your reply. Thanks! we have just got engaged and we are planning our wedding, the date should be in 2019 dec. Can I have your rate card ? and we also interested in 2019 summer oversea pre wedding shoot and hk pre wedding shoot, can I have some information too ? Would like to inquire about big day photo shoot on 23 Nov 2019 (tea ceremony in the morning then lunch reception). I am looking for photography service for my wedding day. May i know your availability on 2 Nov 2019? Please also advise the details of packages, thank you. Hello. I’m going to have my big day on 23/03/2019. And may I have your rate card if you’re available on my big day? May I hv your rate card of overseas prewedding? I am going to be in Hong Kong from April 8 to April 24. I would like to have some pictures taken with my partner. Will I be able to take the pictures with me before April 24? Would you be able to provide us with the suites to wear to have pictures taken? Hi! May i have your ratecard for big day photography service on 30.12.2018? I am looking for a make up service with natural and floral style, which I think your make up stylist will be my good choice! May I have the rate card? Are you available on my big day, 10 Nov 2018? Hi, may i have your rate card for big day on 28/2/2018? I’ve reviewed your wonderful gorgeous photos. Nice Work! Hi, I would like to request for the wedding day photography and videography, my date of wedding is 10 Nov 2018. May I have the detail and price of local wedding package (2018 Jun)? Thanks! Hi, I would like to know the price list or package provided for my wedding ceremony in a church on January 2018, only 2 to 3 hrs is needed, thanks. Hi, could you send me details and price of the followings? Many thanks! I would like to ask for the wedding package quotations for the wedding big day on 30th Sep 2018, include photographers and videographers. May I ask if you will also participate in August wedding fair? I would like to see more of your wedding ceremony photos. Please send me your packages for pre-wedding photos in HK. Hi there. Just wondering if I can get your rate cards for big day’s packages for 2017 early December. I would like to have the details and price for the wedding day package (2018 Dec in Hong Kong). May I have the detail and price of local prewedding package (2017 Nov) and wedding package (2018 Dec)? Thanks! would like to enquire big day’s packages! thanks much! Hi, will u do oversea big day photography? In Okinawa. How much will u cost? Hi, i’m experienced video and photo editor. Do you have any video or photo editing job for me.I can edit online. I will give you quality work at low price. Please email me for more discussion. Noted your wonderful artwork and dreamed to have a beauty album for many years, finally I got an excuse to invite you to be our photograher this year! Because I will go to Hokkaido to have pre-wedding photo taking in coming Nov 2017(30thOct- 13thNov2017). It must be our honour if you can participate to our project! Please leave me detail if you are available. Looking forward to your reply. Hi, I’m interested in your bridal makeup for big day and would like to know more about the price and available dates. Could you please advise the price for Newborn photography? Hi, I like the style of photos. Can I have a rate card of big day on 6Nov2017? Many thanks! Hi Mike. As discussed briefly on facebook messenger, I am looking for a wedding photographer on Feb 4th, 2017 From 7:30 to 1400. One location only. Would you mind to get back with package and your availability please? Appreciate it. Thanks! Hi I’d like to quote pre-wedding (HK outdoor 1 day) & big day (5 Oct 2016). Please send me corresponding price list for details. Thanks. Hi, I would like to ask a quotation for 2 hours service for a marriage registration in Cotton Tree Drive. Thank you! Hi, may i have your rate card for both HK pw and big day? i, sorry for communicating using contact form. 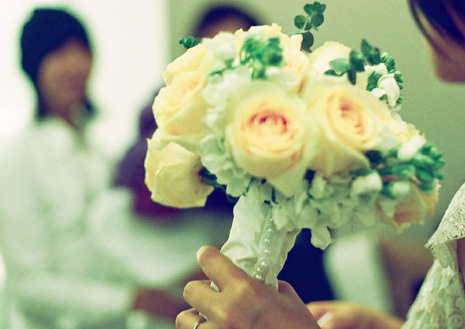 I’m experienced video editor and edited lots of overseas wedding videos. Do you have any wedding video editing job for me ? I can edit within your budget and deadline. Please contact if you want to use my service. My wedding date will be 10 March 2017. Can you send me rate card for wedding day photo shooting? Hi there! A few friends who are getting married next year have engaged your studio to take wedding pictures on their big day. Mine will be 10 June 2017 (Sat). Would you please advise me on the costs and any wedding package? Thanks! Hi there! A few friends who are getting married next year have engaged your studio to take wedding pictures on their big day. Mine will be 17 June 2017 (Sat). Would you please advise me on the costs and any wedding package? Thanks! May I have the rates card for HK prewedding and wedding day photo shooting? Can you send me the rate card of wedding package? I plan to have a pre-wedding in 2017. May I have the rate card of the pre-wedding photos in Hong Kong? My wedding date will be Jan 7th, 2017. We are looking for pre-wedding and wedding day photography package, kindly please send through the information for our reference. Hi, my big day is on 13/12/2016, can u send me rate card of wedding package ? May I have the rate card of the pre-wedding photos in Hong Kong / Okinawa? Hi MC, 我想查詢有關2016香港 pre-wedding, Big day (Full day) 的 rate card? Thanks! I want to know the package and detail for wedding day. Would you mind give me your rate card or package of pre-wedding and wedding day? I am considering to have a pre-wedding photo in Hong Kong. Please kindly send the details of package. Thanks! I would like to have the details of prewedding and big day package. Hi, I would like to check the availability on 1Apr2017 for big day shooting, could you send me a package quotation please? Hi, could you please send me the wedding package? Thanks. Could you send me your wedding package information? Such as pre-wedding and big day. May i have the details of your pre-wedding (most likely to be taken in Apri & May 2016) and wedding day photo packages (2/12/2016)? I’m having a wedding on 17th Dec 2016 in Hong Kong and I wanted to ask about your photography packages? Preferably we want to include video as well. Pls advise your big day package details for reference. Thanks. Hi, I’d like to have pre-wedding photos in Hong Kong in March or April in 2016. and also want to borrow a wedding dress and have make-up. Do you have a full package? Hi, I would like to check the availability on 5Nov or 16Dec for big day shooting, could you send me a package quotation please? Hello, your works look amazing! My big day is on 15 October 16, can you please advise if you are available for photo shooting? Can I have the details of the package? Thank you! My big day will be on Nov 11, 2016, just wanna know if you are available and can you please share with me your big day photography package details? Hello! Your works are amazing!! I would like to have a details for pre-wedding photo shooting in hk. Hi! Your photos are really great! I’d like to know the price and the package for pre-wedding photos to be taken in Hong Kong. Please reply. Thanks! I would to have the package quote for Hong Kong pre-wedding photo shoot. We are planning to take it in March or April. Thanks! Are you available on 23.4.2016? I am only planning a wedding banquet in the evening. May I know the price of (1) 1/2 day photo-shooting, (2) instant photo distribution to guests, (3) make-up for the bride & the 2 moms? Thanks a lot. I would like to have the details of pre-wedding and big day shooting package. Hi, May I have the package info. for pre-wedding in May 2016. Thanks. Hi, are you still available on 12.05.2016 (Thu)? Hello, I would like to have the package info. including price for the wedding in Oct 2016. Would you please send me the detail via email? Thanks. Hello, Are You available on 12/03/2017? If so, please let me know and send me your rate card, many thanks! I would like to get package information about wedding day photography/videography for June 2016 please? Hi, MC, May I have the package detail and the price for the wedding day in Feb 2017 ? 你好，想請問2016 Overseas pre wedding 詳情及價錢 thx! I want to get package information about wedding day(20 Sept 2016) photo shooting and video taking. Please kindly contact me by email. May I know around how much if I wanna have a prewedding photography at Taiwan Penghu? Awaiting for your reply. Hello MC, may I have your rate card for 2016? Both overseas and HK. Thanks. Hello I would like to have the rate card and schedule of pre wedding shooting in Hong Kong 2016!thanks! I would like to know the package & price of Hong Kong pre-wedding 2016. Thanks. Our Big day on 17dec2016, may i know is it available and the price ? Hello I wound like to know your schedule and the rate card for April 2016 overseas pre-wedding.thank you! hello, please let me lnow if you are available for our wedding day snap in hong kong central on april 23, 2016 and send me the rate card please? Hello, May I have the rate card of pre-wedding shooting in Hong Kong in 2016, and also Wedding day on 29/12/2016. Halo~I would like to know your team still available both 15/10/2016 and 16/10/2016 or not? Please provide your rate card for half day wedding day shooting as 1P1V to me. Thanks! Hi, I would like to know your schedule and the rate card for overseas pre-wedding in 2016. Thanks you. My wedding date will be on 24/9/2016. Is your team still available on that date? And I would like to ask for the rates on big day photography. Thanks so much! Hi, hope this message finds you well! We are going to hold a cocktail wedding party in Sai Kung One-thirtyone on 2016 Apr 9 (SAT), from 12-4pm. We would like to enquire your rate card for 4-6 hours wedding day shooting, would you please kindly share with us? Many thanks and looking forward to hear from you. Hi, I would like to have some more information regarding HK pre-wedding package and Big Day package. Big Day in 2017. Thank you. I would like to know the price and package details for March 2016 overseas (Korea) & HK pre-wedding? Makeup service rates? and 2017 big day? Many thanks! Hi, I would like to have more information about 2016.11.5 big day package, thank you. may i hv the rate and more details of the pre-wedding package? Please advise the details of the relevant packages including cost, scope of service and availability. May I know the pre-wedding and wedding day package details? Thanks! Hello, I would like to know the price of pre-wedding (local & overseas) of this year. Thanks! Hi, I would like to do the prewedding in London next year. May I know the price and details? hi mc, i would like to know about the rate card n the availability at the end of this year, thank you. Hi, may I have the rates and package details for 2016 overseas & HK pre-wedding? Many Thanks! I would like to have your wedding photography rates? Inclusions? Makeup service rates? Big Day will be on 25th March 2017. Can I request for your wedding photography rates? Inclusions? Makeup service rates? Thank you! It’s my daughter’s 1 year old birthday party on 23 August, and I would like to inquire about a 3HR photography session. The venue would be at the Aberdeen Marina Club, and it would be a lunch gathering from around noon to 3pm. Could you please advise your availability and price? Many thanks. want toknow the package rate for pre wedding ? Can I have the rate card for wedding day photgrpahy ? My wedding will be on 15 Oct 2016. Thanks ! I would like to find out the detail and price list of pre-wedding photography in HK. Also if there is any package deal. I would like to ask for the details of pre wedding. Are there any packages for that? Hi, I would like to know more about the price list and available schedule of yours for York, England pre-wedding (Easter 2016 or Summer holiday 2016) and Hong Kong big day photography (Oct 2016 / Nov 2016). sorry, should be both HK pre-wedding and wedding day photography. Thanks! Hi, could you please send me your rate card of both HK pre-wedding on early 2016 ? Thank you so much! my big day is in Oct 2016.
could you send me the price list for both pre-wedding and wedding photo? Can I have the rate cards for per-wedding photo? Can I have your rate card of overseas prewedding, overseas and Hong Kong big day in 2016? Hi ! !MC and Jocelyn .May I have your rate card for Hk pre wedding and wedding day photography on end of 2016 or early 2017 please? Thanks! May I have your rate card for big day on 2016-01-10, please? Hi, may I have your rate card for HK pre-wedding and big day photography and makeup please. Thanks! Hi! I am really impressed by your photo. Can i please know the details about the oversea and the local pre wedding package? We prefer going to Taiwai or Osaka. And can i also have the wedding day photo service for reference. Thanks! Hi, I am interested in your pre-wedding photographs. Can you suggest your travel schedule in the second half of 2015 and the rate for overseas shooting? Hi, i am imprseed with your photo. I would like to know the rate for pre wedding and big day photography and make up serivce. Hi, I would like to get a rate on a pre-wedding package (inclusive of gown rental and makeup) in Macau. Do you have a deal if we do the pre-wedding, wedding and video with you? Many thanks! I would like to know about the information about HK pre-wedding package and make-up on 2015-2016, thanks! Hello, can I have your rate card and schedule for 2015 or 2016 overseas pre-wedding and bridal makeup? Many thanks. Hi, MC .may I have your rate card for HK pre-wedding and wedding day photography and makeup please. Thanks. Hi, may i have your rate card for Macau pre-wedding photography and make up, with gown rental. Thanks! Hi, may I have your rate card for HK pre-wedding and wedding day photography and makeup please. Thanks. Hi, may I have your rate card for HK pre-wedding and wedding day photography and makeup please. Thanks! Hi, may I have your rate card for HK pre-wedding and wedding day photography please. Thanls. hi may I have your rate card for big day photography and make up please? thanks! Hi, may i please have your ratecards for hk prewedding and wedding day photoshooting packages?thanks! May I have the ratecard for big day photography service (2015_ pls? thanks! May I have a rare card for hk pre-wedding? Thanks. May I have a rare card for hk pre-wedding & big day? Thanks. Hi there. May I know if there is any pre wedding tour for Okinawa in early march? Thanks! can I have your rate card for HK pre-wedding? Thanks! Hi, May I have the rate card of overseas in 2016? Thank you. I love ur shooting so much , planning to have prewedding photo shooting in tokyo between15/4 -21/4 , big day in 2016, can i have ur rate card for ref? THANKS! Hi, could you please advise the rate for wedding day photography (2P) on Aug 1, 2015 from 4-11pm please? Hello. May I have your rate card for both local and overseas prewedding package for reference please? I am interested in New Zealand, Tai Wan or JP in particular. Hi, may I have the rate card of overseas and Hong Kong prewedding ? Hello, may I have your rate card for HK pre-wedding package? Thank you! May I have your rate card for the big day?And it will be on 24 May 2015. By the way, do you provide video taking services? Kindly give your advices.Thsnks. Can you please let us know your schedule and package for pre-wedding in 2015? Hi may i have the rate card for wedding day photo service please? Thanks! May I have the rate card for wedding day and local pre wedding? Also, is there any info of the world tour 2015? HI, May I have your rate card for HK pre-wedding package? Thanks! hello mc! May I hv your rate card for local pre-wedding please? Thank you very much! Btw, your photos r awesome! May I have the rate card for pre-wedding? Thanks. Hi, can you please send me the rate cards for local pre wedding? Also, just would like to know if it happens that you have overseas tour in korea in dec 2014? I would like to ask if there is any pre-wedding package to okinawa before March 2015? Thanks! Your photos are very wonderful. I would like to know more information and price about overseas and local pre-wedding. Could you send the information to me? May I have more information and rate card for both local and overseas pre-wedding photoshooting package in 2015? I want go to Paris, puket or Korea. May I have the rate card for pre-wedding photography? I especially have interests in Japan, Korea and Taiwan in mind. Hiya! May I have the rate card for both local pre-wedding and wedding day? Thanks! Hi! may i have the rate card for wedding day photograghy? thanks! I would like to know more information about pre wedding in Hong Kong . Hi, love the photo’s. Are you available on Sat 26.10.2014 (18:00 – 23:00)? May I also have your rate card for our wedding (chinese banquet) Thanks! I am target to go Okinawa in March 2015. And what are include in the package? Hi can you send me pre-wedding package info? Love the smiling faces in your photos! May I have the rate card for wedding day photograghy? Hi. may I have some information and price list about the photography service on my wedding day? Hi, love your photos so much! May I have more information and the price for pre-wedding in H.K. Thanks! I want to have pre-wedding shooting in Okinawa on Apr-17-2015 including churches. Please provide the price list and items included in package. Please contact me by email. Thanks. May I have the rate card for pre-wedding in Paris and Seoul in Aug 2015 and Nov 2015 respectively? Thanks. Hello. May I know the detail about Seoul pre wedding on nov2014? Hi, would you quote me the local pre wedding photograpghy and big day package? thanks!! Hi, any pre wedding photoshoot in Seoul in early September? Can please quote me the packages? Would you pls provide the rate card for oversea pre-wedding photography service in 2014 and 2015? Thanks. Hi, I would like to know the rate card for 2014 pre-wedding package. Are you only available on oct or if there is any other country are available? We are looking forward to your reply, thanks. HI, May I have your rate card for HK prewedding package? Thanks! Hi, Would you please send me the rate card for 2014 wedding day?thank you so much. Morning, I would like a quote on pre wedding photography service. hi , may i know the package for big day? Hi, may I have your rate card for the pre wedding shooting in Korea in this autum 2014 please ? Thanks ! Your production is awesome ! Hi, may i have the rate card for pre-wedding 2015? Thankss. Hello~ May I have your rate card for 2015 Wedding Day?~ Many thanks! Hi! May I have your rate card for Nov 2014 pre-wedding package at Macau? Many thanks! May I have more information and the price for pre-wedding in Prague and Japan. Hi, may I have your rate card for Jan 2015 wedding day package? Thanks! Hi, I’m interested in either Seoul OCT or just HK prewedding photos during end of the year. Just wondering if its still available and can you please email the price list. Thanks! Dear MC, would you please provide the rate card for Pre-wedding for 2014 and 2015 and also wedding day for my information? Thank you. Hello, i love your photos so much! Just would like to know the detail of the following. and local per-weeding photo taking service as well, please. My boyfriend and I will be traveling to France this September and would like to have our pre wedding photos shot there. Would you please provide us more info on your packages and rates? Thanks! Hi, I’m interested in the pre wedding shooting in Korea in autumn 2014. Would you please send me your rate card? Thank you. Your photos are very impressive indeed. Would you mind sending us your rate cards for prewedding in Hong Kong in 2014? Thanks so much! Hi, most grateful if you could kindly provide rates for your pre wedding tour for late 2014 and early 2015? I am thinking of doing red leaves in korea or sun and beacn in okinawa. Thanks! Hi , can you kindly send me the rate card for oversea pre wedding tour in late 2014 and early 2015? I am interested in your Big Day photography and videography. May I please get your rates for 2014 Big Day Photography? Thank you very much. Would you please send me the rate list for wedding day and Pre-wedding in hk? Hi, I am interested in your Wedding Day photography and videography. May I have your availability on 4 Jan 2015 and the rate card please? Thanks. Hi, may I have the rate for local pre wedding packages? hello, may I have the rate card for the wedding day? Thank you . Hi,may I have the details for pre-wedding tour in shanghai? HI, may I have your rate card for 2014 and availability on 17th Oct? Thanks a lot. Hi mc, can you kindly send me the rate card for oversea pre wedding tour in late 2014? Hi, may you please send me the rate card and details for the local and overseas pre-wedding package? Thanks a lot! Hello, may I have the rate card and package details for HK prewedding and big day in 2014? Thank you! I am interested in your Wedding Day / Big Day photography and videography. May I please get your rates for 2015 Big Day Photography? Thank you very much and appreciate your reply! Hello there, I am interested in your Wedding Day Photography. May I know your wedding day photography and videography package for 2015 Big Day Please? Thank you so so so much! Hi would you please send me the rate card for 2014’s pre-wedding photography and package details? Thanks! Hi I am interest in your wedding photo packages in 2014 Japan or seoul, would you please send me price list and information about the packages? Hi! I am interested in your pre-wedding photo packages in 2014. Could you please send me some information about local and overseas packages? Thanks! 3）是否包含礼服租借，包含和不包含的价格分别多少 (whether gown/dress rental is provided, and the respective prices). I am planning to have a pre-wedding photo in Hong Kong, Could you kindly give us the price range. And how many days for the process. Because we\’re probably only be staying in Hongkong for 3 days 2 nights. Thank you. Hiiii, your photos are fantastic! I would like to know more about the details of the world tours in 2014 and do you do Hong Kong prewedding photos as well? May I know the details of the HK package too please? Hi, May I know the pre-wedding package details in Okinawa at the coming Jan-2014? Thanks!!! Hi I am interest in your wedding photo packages in 2014 too, would you please send me some more information about your WORLD TOUR 2014? love your wedding photos so much!! I would like to have the rate card for big day package in 19 April 2014(Sat) in Hong Kong (whole day). I would like to have the rate card for Mel/Syd in Feb 2014. Thanks! Hi, can I have the rate card for 2014 seoul pre wedding package and wedding day packaage ? Your wedding photos are great! I would like MC be my wedding photographer in my pre wedding and big day. Could you please kindly send me the rate card for both? My wedding date will be on 15 Nov 2013 and I am interested in the wedding day shooting package. Could you please kindly send me your price list by email? Would deeply appreciate if you could provide the rate of video as well. Thanks so much. My big day would be on Sep1,2013. I would be greatly appreciated if you could kindly provide me the rate card for Wedding Day. I would like to have the pre-wedding & also big day photography package details, thanks! Would you please send me the rate list for Pre-wedding ? Thank you for arrangement . I would like to inquire about wedding day package and my big day is on 16 Nov 2014 (Sun). Please kindly send me rate card . I would like to have the detail of the big day packages, could you please send to me? thanks. Hello! I am interested in your pre-wedding photo packages in 2014. Could you please send me some information about local and overseas packages? Thanks! could you please send me more details about pre-wedding pakages? local and overseas of 2014. Hihi , I am interested for yr pre wedding packages. Can your please send me the rate cards for both local and oversea pre wedding packages? Thx a lot! Hi, i would like invite you for my big day photographer. May i know more your rate card? Thanks! Hi! I am interested in your pre-wedding photo packages in 2014. Can u please send me some information about the local and overseas packages? Hello, I would like to know more about the overseas pre wedding photo package, can you please send the price quotation to me? We will be going to Koh Samui for a trip from 27 Dec 2013 to 3 Jan 2014. Can you pls send us a quotation on the package for pre-wedding photos there? Thanks! hi there , I am interested for ur pre wedding packages… can u send me details for both local and oversea pre wedding packages ? I would like to have the details on wedding day package. Thanks! Hi, could I have the rate list for pre-wedding photos in Seoul next autumn? Also the price for wedding day phototaking. Thanks a lot! Could you please send the price list of the wedding day to me? Would you please send me the rate list? I am interested in your pre-wedding photo in Seoul and Kenting. Our wedding date is on 29/11/2014, may I know if you are available to take photos for us? My name is Matt and my big day is gonna be on Nov 24, 2013. Would you please send me your rate card? Hi, may I have the rate card of big day photo in Oct 2013? thanks! Hihi, may i hav the per-wedding pricelist/package in Macau, and on wedding day as well (11/2014), thanks! Hi, may I have the rate card of big day photo shoot in Nov? Can I have the package price for shooting on wedding day? Pls let me know the rate list for this year local pre-wedding package. May I know your rate card and availability on 1 Jan 2014 for wedding day photography? Thanks. Hello! May I havethe pricelist for pre-wedding photoshoot at Hong Kong? Thank a lot! my weeding day is 8 Sept 2013. Would you please to send a package detail to me? wanna know you will take family photo or not (included kids and grandma)? Me and partner love yours shoot very much…Would you please send me your price list for oversea and local pre.wedding photo? Can you kindly forward your prices for wedding photography? Many thanks. Hi, would you please send me the rate card for wedding day? My big day is 10 Nov 2013. May you send me the pricelist for local prewedding photoshoot? thanks! May we have your big day photo taking rate card on 9/11/2013? Hi , may i have yr rate cards for South korea pre-wedding (autumn red leaves)/ wedding date / bridal make up. My big day is in march 2014. Thanks! Hi, may i have your rate card for pre-wedding photo shoot in Shanghai? Are there any packages you would offer as well? Thanks! would u pls send us the rate card of wedding date on 11 nov 2013? hi!! did u have any pre-wedding packages in hk/ macau? i would like to ask for a price and what are included? thx!! Hi, pls send me the pre-wedding package price list for Japan and Paris. Hi , may i have yr rate cards for HK pre-wedding / wedding date / bridal make up and my big day is 2013/12/28 , thanks! Hi, could you please send me the rate card for pre-wedding & makeup? Thanks. Hello. Pls send me the overseas pre-wedding package price list. Planning April , 2013 in SEOUL. Thanks. Hi, could you please send me the rate card for local pre-wedding & makeup? Thanks. Hi, could you please send me the rate card for pre-wedding? Hi, I’m Richie from Indonesia. I just want to ask if i want to do a pre-wedding in Shenzhen, is it possible to use your esteem company? And how much it will cost me if i want to take the picture and the soft copy together? And how much it will cost me if i want to take the soft copy only? hi there, could you please send me the rate card for the makeup and photography service for wedding day (19 Oct 2013)? hi, my big day will be on 7 Sep 2013. Can you please send me rate card for reference? by the way, any same-day-edit samples to see? Can u send me ur rate card to my mail box ! Also my big day on 2jan 2013 ! hi, would you pls send the price of oversea pre-wedding for me? Dear, Can you please send the rate card for overseas prewedding to me? hi, do you do graduation photo taking? :) i hope to do it on late Nov or early Dec.
Hello, can you please send the rate card to me? Thanks. Could u pls give the rate card to me??? Hi, i would like to know the rate of pre-wedding photoshoting at Okinawa feb 2013. Thanks!! Hi could u send the ratecard to my email? thanks!! Hi, I would like to know are u available for prewedding pic in mid of nov ? Can you send me the rate of taking the prewedding pic in Japan ? Thanks!! Could you please send me the rate card of pre-wedding shooting at Paris & Japan in Nov & Dec 2012? Thanks! Would you please send me a ratecard of your local pre wedding package ? May i have the rate card for pre wedding in hk? thz!!!! My Big is 29/9/2013. Would you send me the rate card? Hi, your photos are truely amazing ! Would you please send me the rate card for Big day photography? thanks ! Would you please send me a rate card for Big day wedding? Could you please send the rate card for our Wedding Day(2013/9/30) Shooting? Thank you and please keep up your good work! I am interested in taking pre-wedding photo in Europe in 2013. Can you provide me the pricelist and the 2013 schedule for my consideration? Your photo shooting style is so impressive. I would like to know more about your services provide and your schedule for year 2012. Also, may i have the rate card. Thanks. We are interest of your photo style :) Can you pls send the rate card for Wedding Day shooting , Thanks a lot! could u pls send me the rate card for prewedding in hong kong ? Your style is what exactly I am looking for! Could you pls send me both overseas and local pre-wedding price list? Many thks! Please can you send me the rate card if taking pre wedding in Prague? Could you please send me the price list for pre-wedding photo package? May I have your rate card for pre wedding overseas? Hello, I like your photos, can I have the quote for the pre-wedding service in HK? I would like to quote for my on-day wedding photographer service (or video as well if any). Your products are so nice! May I know the price list? Big Day Photography and Pre-wedding photography service. Are you available on 19 Jan 2013 (Sat)? I would like to get a quote for pre-wedding photo in Paris. Would you kindly send me the details. Thank you. My wedding day is May 4th 2013. Please advise your availability and rate cards for wedding and pre-wedding day. May I hv the price list of wedding day in late 2013? please send me ur 2013 wedding day rate card, thx! Hi! May you send me the rate card of local pre-wedding photo? And, I like your shot style very much! Do you take pregnancy photos? May I know the charges? Hi MC, may you send me the rate card of local pre-wedding? Thx a lot. Sorry, MC, I haven’t got your email reply. Please kindly send to this address again. Hello, I love the way you took photo for pre-wedding. May I hv the price list of bridal makeup? and I would like to have a quote for the pre-wedding in Japan on 2013. My wedding is on 24 November2012. May I hv the price list of bridal makeup? Thanks! Hi, I would like to have a quote for the pre-wedding in London. Please also advice me the package of your MUA and trial fee on wedding day and oversea shooting. hihi~!! may I have your rate card for the pre-wedding in Paris? Thanks! hihi~!! may I have your rate card for the pre-wedding in HK? Thanks! Would you please send me your rate card of pre-wedding photos in HK? Thanks. Hi I really like your style! I would to have a quote for pre-wedding and bridal makeup in San Francisco. Thanks! Hi, I would like to quote for the pre-wedding in HK. Looking fwd to your prompt reply. Thanks. Hi, may I have the ratecard for wedding date photo shoot for next year May/June please? Hi, would you sent me the price list for pre-wedding ? Hi, I wld like to quote for the pre-wedding for both HK and Thailand and the wedding day package rate card. Could you send me your price list of wedding day photo shooting and video editting? Thanks. hello, shall I have the price and package of pre-wedding photogvraphy in hong kong? can you pls send me the rate card for both wedding day and pre-wedding pls? Hi, could you send me the price list of wedding day package ? I would like to have your rate cards for both the packages of pre-wedding in HK and wedding day. Would you please send me the price list of wedding day package ? Thanks ! Can I please get a rate card of prewedding pacakages in Beijing/Hongkong Late August 2012. Thanks! HI, Would you please send me the rate card for pre-wedding in HK (Est. Nov-2012)? Thanks. Greece portrait 2013? How much? Very special style, and I like so much. Can you give me more information for the local and overseas for wedding photos? And would you mind sent the budget and price for me to consider. Thanks a lot. Very good pictures. Would you pls kindly send me the rate card for local and overseas prewedding pls? Hi, may you send me a quote for wedding day photography via email? Hi, I’m interested in your overseas pre wedding photos. Would you please send me the details and price of pre wedding package? Hi, may i ask for a rate card for wedding date photo shooting on Jan 24, 2013. Thanks! Hi, I would like to check your rate for wedding day shooting thanks! Could you send me your rate card of local pre-weddding? Hi pls send me the pricelist for photoshooting for overseas Paris, Thai, Korea, etc. Tks. Your prompt reply is highly appreciated. Thanks! first time i saw your work I thought they re from a female photographer!…isnt that a lot people say that female photographer takes unique style of photo, say…more sensational? i love ur work, very sweet and exactly what i want for my pre-wedding pics! !hope one day if i get a husband ..hopefully i do.., I have the pleasure to be ur client! !…hahaha=] keep up ur good work!! Hi Oiling, thanks for your compliments! We look forward to hear from you again one day! Hi! I’m interested in your pre-wedding photo shooting service. Could you send me rate cards for that in Hong Kong and overseas (especially Japan~ I like your Nara/Osaka/Kyoto one~~~)? Many thanks! Hi, love you photos! Do you do wedding photoshooting in Cebu? I am having registration in Cebu on 6 Apr 2012, can you send me the quotation? Plus do you do personal portrait (or couple photoshooting) in HK? can u send me the rate card? Thanks a lot. Hi Would you please send me your price list for pre-wedding in HK and overseas (Seoul), many thanks. Hi Teresa, Thanks for your interest. We have sent the details to your email. Kindly please check…. Would you please send me your quotation about your pre-wedding and wedding day service? I am intersted in taking pre-wedding photos at Shanghai in 2012. Hi Cammy, Thanks for your interest. We have sent the details to your email. Kindly please check…. Hihi~ I am very interested in those pre-wedding photos~ May I get a rate card from you and also the package details? For Prague, is it only 1 in Aug 2012? Since my big day is on Jan 2013 and I am worried would there be enough time. And, I am also interested in Cebu and Japan. Would you mind sending me details for the abovementioned 3 places? Many many thanks. I love your pic and could you please send me the quote for pre-wedding and wedding day (25 Nov 2012)? Hi Tomy, Thanks for your interest. We have sent the details to your email. Kindly please check…. Hi I would like to have your quote for wedding day photo service. Do you provide video shooting service? Thank you! Hi Yolande, Thanks for your interest. We have sent the details to your email. Kindly please check…. Hi Jasmine, Thanks for your interest. We have sent the details to your email. Kindly please check…. Halo ;) I really like the style of your photo:) can you email me the pricelist? Many thanks! Could you please send me the price list for pre wedding in HK? Hi Ms Ng, Thanks for your interest. We have sent the details to your email. Kindly please check…. Hi, pls send the price list for per wedding in HK and KR (oct 2012) and also for the wedding day in HK?Many tks!! Hi Grace, Thanks for your interest. We have sent the details to your email. Kindly please check…. Hi Nessie, Thanks for your interest. We have sent the details to your email. Kindly please check…. Could you please send me the price list for pre-wedding in HK and (Japan) and also for the wedding day in HK? Looking forward to your reply! Thanks very much! Hi Gloria, Thanks for your interest. We have sent the details to your email. Kindly please check…. Could you please send me the price list for pre-wedding in HK and oversea (Japan)? Thank you! Hi Amy, Thanks for your interest. We have sent the details to your email. Kindly please check…. Posted on December 30, 2011 by eliza L.
may i have yr price list for pre-wedding and wedding day? and are u available on 2013 Jan 12?? Hi eliza L, Thanks for your interest. We have sent the details to your email. Kindly please check…. Could you please send me the price list for pre-wedding in HK and oversea? Thank you! Hi Carrie Chan, Thanks for your interest. We have sent the details to your email. Kindly please check…. I am Stacy~ I have previoulsy asked Vikki to help me quote the pricelist of your service~ Would like to know if you 2 will be available in early Nov 2012 for a trip to Phuket? I have planned to have my wedding at the Chapel-on-the-Lagoon. And can you send me more details to my email? Thanks! Hi Stacy, Thanks for your interest. We have sent the details to your email. Kindly please check…. Could you please send me the price list for pre-wedding in Aus and London? Thank you! Hi Hopefully, Thanks for your interest. We have sent the details to your email. Kindly please check…. Could you please send me the price list for pre-wedding in HK? Thank you! Hi Janis, Thanks for your interest. We have sent the details to your email. Kindly please check…. Would you please send me the rate card for pre-wedding (HK and overseas) and wedding day? Thank you. Hi Claire, Thanks for your interest. We have sent the details to your email. Kindly please check…. May i ask a quote for pre-wedding photo in HK and another quote for pre-wedding photo in joining your 2012 pre-wedding tour in Japan ? Many thanks ! Hi Horace, Thanks for your interest. We have sent the details to your email. Kindly please check…. May I have your rate card for Big day shooting? Thanks! Hi Mansee, Thanks for your interest. We have sent the details to your email. Kindly please check…. May I have more details about the services? Hi Edith, Thanks for your interest. We have sent the details to your email. Kindly please check…. Hi, May i have a brief rate for pre-wedding in HK? Hi Angel, Thanks for your interest. We have sent the details to your email. Kindly please check…. Hi there, can i have your rate card, thanks! Hi Henry, Thanks for your interest. We have sent the details to your email. Kindly please check…. Hi Gina, Thanks for your interest. We have sent the details to your email. Kindly please check…. Could you please send the rate card for Pre-wedding shooting in Paris ? thanks !! Hi Hydie, Thanks for your interest. We have sent the details to your email. Kindly please check…. Could you please send your rate card of Pre-wedding / Wedding day shooting in HK? Thanks. Hi Toby, Thanks for your interest. We have sent the details to your email. Kindly please check…. Hi Luxen, Thanks for your interest. We have sent the details to your email. Kindly please check…. Hi, Could you have the rate card for local or oversea pre-wedding photos? Hi Carol, Thanks for your interest. We have sent the details to your email. Kindly please check…. hi, may i have yr price list for wedding day? and are u available on 2012 dec 1?? Hi Phyllis, Thanks for your interest. We have sent the details to your email. Kindly please check…. hi, we would like to take photos in Euro for our prewedding. However, we do not have the specific place for photo taking. Any suggestion of you? We both love the chruch and Euro-style buliding. Hi Vincent, Thanks for your interest. We have sent the details to your email. Kindly please check…. Could you please provide me the rate card for local wedding day? Thanks! Hi Catherine, Thanks for your interest. We have sent the details to your email. Kindly please check…. Hi Seasea, Thanks for your interest. We have sent the details to your email. Kindly please check…. May i have your rate card for local pre wedding photos? Hi Caris, Thanks for your interest. We have sent the details to your email. Kindly please check…. I like your photo sytle. And I want to take Outdoor Pre-wedding photos in Korea (June 2011). May I have your rate. Many thanks!! Hi Suen, Thanks for your interest. We have sent the details to your email. Kindly please check…. Hi Elaine, Thanks for your interest. We have sent the details to your email. Kindly please check…. I am planning to have a marriage proposal to my girlfriend in Hong Kong Disneyland in End of February 2012. May I have a rate card for the photo shooting? Can you also suggest if you have any contact in the disneyland that I can make arrangement with for the marriage proposal? Thank you. Hi Kong Leng, Thanks for your interest. We have sent the details to your email. Kindly please check…. i like the photo shooting style which shows nature and warm, would i have a brief rate for pre-wedding in hk? i am from BJ and i would like to have some photos on 3 or 4 Dec.
Hi Tian, Thanks for your interest. We have sent the details to your email. Kindly please check…. I like the photo shooting style which you do, may I have a rate card of Pre-wedding / Wedding day shooting in HK? Thanks. Hi, Thanks for your interest. We have sent the details to your email. Kindly please check…. Hi MC, your style is warm and pictures are beautiful. I would like to have the rate card of taking photos in Phuket, and maybe one set more in Hong Kong. But seems like you have no plans to Phuket in 2012? Hi Annie, Thanks for your interest. We have sent the details to your email. Kindly please check…. Do you have own or partner video taking team refer? Hi Celia, Thanks for your interest. We have sent the details to your email. Kindly please check…. MC, your photo are great! May I have your rate card for pre-wedding photo in overseas? Hi Eva, Thanks for your interest. We have sent the details to your email. Kindly please check…. May I hv your rate card for wedding day photos. Thanks. Hi Yvonne, Thanks for your interest. We have sent the details to your email. Kindly please check…. May I have your rate card for pre-wedding photo in overseas? Thanks a lot. Hi Yuki, Thanks for your interest. We have sent the details to your email. Kindly please check…. Hi Winnie, Thanks for your interest. We have sent the details to your email. Kindly please check…. May I have your rate card for wedding day photography? Thanks! Hi Yan, Thanks for your interest. I have sent the details to your email. Kindly please check…. Sorry to inform you that I could not receive the information, please kindly resend to kevyl.c@gmail.com . Many thanks! Hi Kevyl, I have re-sent the details to your email. Kindly please check again…. Hi, I’m interested in taking pre-wedding in Seoul in April 2012. Could you please send us your rate card? Thanks! Hi Jacqueline, Thanks for your interest. I have sent the details to your email. Kindly please check…. I’m interested in taking pre-wedding photo in Sydney, Shanghai or Seoul. Would you please send me the details of the package for my consideration. Also the price of wedding day shooting. Thanks! Hi Lila, Thanks for your interest. I have sent the details to your email. Kindly please check…. Hi Kevyl, Thanks for your interest. I have sent the details to your email. Kindly please check…. Hi Zoe, Thanks for your interest. I have sent the details to your email. Kindly please check…. Hi Natasha, Thanks for your interest. I have sent the details to your email. Kindly please check…. Hi Nikki, Thanks for your interest. I have sent the details to your email. Kindly please check…. hi, may i hv ur rate card for both pre-wedding and wedding day package? thx! Hi Mevinchi, Thanks for your interest. I have sent the details to your email. Kindly please check…. Hi, may I have the rate card for pre-wedding (overseas (Australia in Apr 2012) & local) photo shooting? Hi Lily, Thanks for your interest. I have sent the details to your email. Kindly please check…. Hi, can you please provide details for a November 2012 wedding in Sydney? Thanks. Would you pls send me the price list of the overseas and local pre-wedding and the rate of the wedding day? Thanks! Hi there, this is impressive! may I know the package for Wedding Day Photography (Day-time only) for Dec2012? Thanks! We will be there in late July. Hi Karen, Thanks for your interest. I have sent the details to your email. Kindly please check…. i would like to join the overseas pre-wedding in Shanghai, what is the procedure?? I love your pictures! and would like to know how much u charge for the wedding day snap shot? Hi! I would like to check your availability on 7 July 2012 for my wedding day. Could you please send the price list to me? Thanks! I would like to know you are available on 18Nov2012. Could you please send me the price list? Thanks! hello , how much for pre-wedding in HK (i.e 4hrs / 1day) and Taiwan respectively? could you send me some details? thx! Hi, I would like to know the rate card for wedding day on 18 May 2012. Thanks a lot! Hi, would you please send me your rate card for Shanghai pre-wedding? I am interested in taking it in year 2012, thank you. Hi, would you please send me the price list for wedding days? Thanks! Can you please send me your pricing for taking pre-wedding photos in Sydney 2012? I see that you have slots available in March 2012 is that correct? Can you send me the quotation of the pre-wedding (overseas) photo shooting? Hi, could you please provide a fee quote for the pre-wedding photo in Perth in Feb 2012, thanks a lot! Hi, may I have the price list for pre-wedding (overseas & local) photo shooting? I am introduced from Maya & Arthur. Can u send me the price list of the wedding day snap shot ? And will u be available on our big day around 6 Jan 2013?? HIHI!Would you send me the rate of overseas & local pre-wedding, wedding day photo shooting? and, will you go to hawaii to take overseas photos? HI there, Can u send me some informations about local pre-wedding package pls. Hi there, very nice shots. May I have the price list for pre-wedding and lifestyle portraits? hello can u send me the price list of wedding day please? We just planning to take our pre wedding and big day photo ! And still not yet toconfirm the location ( local, oversea or Macau ) . Would u send me those price for me ? How much is the wedding day photo shooting??? My colleague gave me ur contact. May I please have your rate card for pre wedding photo in Hong Kong? I like the color tone in your photography. Please quo the price of a pre-wedding date shoot in Japan church! Thanks! I want to ask your rate card for pre-wedding, actually I like 黃葉景色(秋天),pls quo the price! Could you send me your package and price list about overseas & local pre-wedding photo to my email. We are planning to have pre-wedding photo in HK or Oversea in 2011. Could you please send us your rate card of both pre-wedding and wedding photo shooting? Hi, May i have your price list for pre-wedding and wedding day in Hong Kong? Thanks! May I have your pricelists for both pre-wedding and wedding day in Hong Kong? Thanks! I am planning to take some pre-wedding and wedding photos and I really admire your work that I have seen. So can you send me the info about those packages thanks. Can I have your price list of overseas pre-wedding services? Thanks very much. photo for us? and we’re planning to have pre-wedding around oct, can you send me price list? I love your style & was wondering if you can provide the rate of the packages you offer. We’re looking at pre-wedding picture, as well as photo taken for the wedding day. The location will be in HK. Hi , We want to have our pre-wedding photo in Saipan Island, could you please send us your rate of pre-wedding overseas photo shooting? Hello~ MC, I saw your pre-wedding photo, it is very great! !I love it. May I have your price list? Hi MC, may i have the price lists for pre-wedding and wedding shootings! Great shooting. I love the style of yours. Would you please send your rate card (pre-wedding photo taking in HK/ Macau/ Tai Wan) to me? Hi MC, I would like to check if you available in Jun to Jul 2011. Also, may I know the rate? Me and my fiancé will be in hong kong/Macau from nov 16-20th and are interested in taking a day for pre-wedding photos. We are from the states but of Chinese origin so we will not be able to bring dresses or tuxes with us. We will also need done. Do you provide this service? I love the style of your photos. Please let me know ifnyou are available and provide your rate if you are free. Thanks! Thanks very much for your interest and enquiry! Very unfortunately, we have already been booked to go Phuket for wedding shootings during Nov 16 – 20. Is your traveling schedule flexible? Pls let us know. Many thanks and we look forward to hearing from you again! Sorry MC, I couldn’t receive it. Can you please send that again? Hi Sandy, I have re-sent the rate cards to your email. Kindly pls check. Thanks! I would like to know the rate for local pre-wedding photos. Please advice. Thanks. Can you send me your package about overseas pre-wedding photo, I am planing to go Prague, please kindly advise your schedule & details to me, thnaks a lot! I am interested in your style. Would u mind sending me the detail about pre -wedding photo ? Thanks for your interest and enquiry! Unfortunately, I have already been booked on your big day, so I might NOT be able provide photography service for you. Hope all go well with you on your wedding! Many thanks. Hi, pls kindly send me yr wedding day package detail, thx. I’m so happy when looking at your work. I am interested in the rate of an outdoor shoot (like pre-wedding) and would also love to know the price for overseas photoshoot. would you please email me on the rate of pre-wedding and wedding day? knowing that you are going to have tour to Prague, may you send me more info of the package? besides, if any overseas/local package also appreciated, target on July. can u send me one more time about the price on wedding day??? I’m interested in both pre-wedding and wedding day photo shooting by your company. Could you please email the price lists of both packages to me? Thanks alot!! Would you please send your rate card (pre-wedding photo taking in HK and Macau) to me? How much of wedding day if I find Yr company ?? Hi MC, i love your photo style. Would you please send me the rate card for pre-wedding shooting in HK or Macau? Lookg forward to your reply! thanks! Friend recommend your blog and the photos look great. Can you send me your price for my wedding on Oct 12? May need your help that day. Could you please email me your rate card. Nice meeting you today at L&R’s wedding. Yeah, it’s our privilege to be part of L&R’s wedding and nice to meet you too! Beautiful photos! I am interested in both the pre-wedding and actual day shoot (in HK). Would you please send me the rate card for both packages? Thanks! Hi, would you send me the rate card for wedding day? Thanks. Interest on wedding day shooting. Pls quote. Hi, MC, I am Stephanie, so impressed by your work! Will you be available on 2.June 2012 for wedding day photography service?Can you send me the price rate? I am very interested your photography style, I would like to asking about actual wedding day shoot (Shap shot). Can you please send me the latest price list by email? My Bid day is on 17 November 2012. Many thanks. can i have the rate card? May i have the price list too?!? thank you!! may i have the price lists for pre-wedding and wedding shootings for nov,2011? thx! May I have the price lists for pre-wedding around October -November 2011 and wedding shootings for April 2012? I love your phtography style and I’d like to ask if you and your crew will be available on 29 Oct 2011 to be my wedding day photographer. If yes, could you please email me the latest price list? Thanks a lot. Thanks for your interest and enquiry! We will be in Phuket on your big day, so I’m afraid we might NOT be able to do wedding day photography for you. Anyhow, we sincerely hope that all go well with you on your wedding! Can you pls send me the quotation for both pre-wedding in HK and wedding day in HK ? Thanks! Hi, we are planning to have our pre-wedding photos in the UK, exact location still undecided. Wonder if you go there as well? Please send me more details and your rates. Hi, we are planning to have pre-wedding photo in Japan in the coming Easter. Could you please send me the relevant information and the price list? Thanks! pre-wedding overseas and wedding photo shooting? Hi I love your work. Can you please send me your rate cards please? (Pre-wedding & Wedding day). Hi, i love your work, pls kindly send me your rate card (pre-wedding / wedding day). thanks! Can you please provide a quote for both local and overseas pre-wedding photography, as well as wedding day photography please? BTW, will you be at the wedding expo next weekend? any chance I can see more of your previous work? Thanks! I am interested in your pre-wedding photo shooting, could you please send me the details about the package on both local & Taiwan? Thanks! Love your photo feeling very much ~! Could u send the details about wedding day photography and video shooting?thanks~!! Hi MC, i really love your style of photos and video, I’m looking for wedding day photography and video shooting, can you sent the details about the package. Many thanks! May i have your rate card of pre wedding photos ? I am interest your pre-wedding photo shooting, could you please sent the details about the package? I am interested in yr pre-wedding and wedding shooting service~ would u mind to send me more details abt the package?? I love your phtography style so much! I am interested in both the pre-wedding and wedding day shooting. Please email me the price list? Thanks a lot! Hi ~Would you pls send me the quote for wedding day? and also the wedding day package, ours will be in 2012. Your photo style are so great! May I have your rate cardof wedding day package please? May I know what is the price of studio pre-wedding? What do you include in your package? I do love your photo!May I have your rate card for pre-wedding photo shooting in both HK and MACAU in 2011.and also wedding photo shooting? Hello! Can you please send me your rate card for pre-wedding photos? Both local and Australia? Thanks! Can I have your rate card please? I am interesting in half day wedding day shooting package info. Thanks! Hi MC, I would like to know the package of photo shooting for pre-wedding in HK or TaiWan. Could you send me the information? I love your photo style so much! Can I have your rate card please? I am interesting in both pre-wedding and wedding day package info. Thanks so much! MC, pls quote me to kyliekiu@gmail.com. it’s urgent!~ I need to plan a budjet. Would you help on shooting an Annual Dinner, 6-12pm 25 Feb, 2011.
also, a half day wedding day shooting on Nov 2011. pls quote me price for AM and PM. Reli lovely shoots. Can I have your rate card please? I am interesting in both pre-wedding and wedding day package information. Thanks. Very appericate your works~! Especially the wedding day album. My wedding date is on Oct, 2011. Can you reply me the price and details, thanks. Thanks for your interest. I have sent the rate card and details to your email. Kindly pls check. I am still no receive your email, could you please send me again? We have resent the rate card to your email again. If you still couldn’t get it, pls try to check your SPAM mail. OR, pls try to send an email directly to ask@mcphotography.hk so that we could reply your email directly. Many thanks and look forward to hear from you soon. may i have your rate card for photo shooting on wedding day? Thanks for your interest Gubi, I already e-mail you our information. Love your photos. I can really feel that you used your heart to capture each photo. May I have your rate card? I am planning to have my pre-wedding photos taken in HK. Thanks for your Labis, I already e-mail you our information. Are you available at 28, Jan, 2011? And can you give me the price list? Thanks for your interest, I already e-mail you our information. Awesome photos! Can I please have your rate card please? I would love to know more about the package for pre-wedding and wedding day service. Do you take destination wedding ? Thanks for interest Mary, I already e-mail you our information. I love your photography style and am interested in photo shooting on my wedding day and appreciate if you could email me more information about it. Furthermore, do you do pre-wedding shooting in Okinawa? Thanks! Thanks for interest Artemis, I already e-mail you our information. I want to go to Paris to take my pre-wedding photo. Can you send me more info about the overseas pre-wedding photo? Thanks for interest Iris, I already e-mail you our information. we love your photo so much! we are planning to have pre-wedding photo in both HK and Japan in 2011. Could you please send us your rate card of both pre-wedding and wedding photo shooting? Thanks for interest Fanny, I already e-mail you our information. Can you send the rate card (pre-wedding in Macau) to me? Thanks for interest Bonnie, I already e-mail you our information. But seems the your e-mail have problem, can u send me a mail to ask@mcphotography.hk? I will send you back the info soon. Thanks for interest Lam, I already e-mail you our information. Hi MC, I would like to reserve a booking for my pre-wedding through your company, my girlfriend and I prefer overseas photo shooting. May I please have the price details on the overseas location? Thanks for interest Jason, I already e-mail you our information. Please quote the price for maternity and new born photos. Where do you take the maternity portrait? Any galleries for view? Thanks for interest Ting, I already e-mail you our information. I love your phtography style and I am interested in both the prewedding and actual wedding day shoot. Can you please email me the latest price list? Thanks a lot. Thanks for interest May, I already e-mail you our rate card. Do you do overseas wedding shots? If so, please quote me the rate if we want to take it in Paris? Thanks for interest Wendy, I already e-mail you our rate card.